Research interests: forest management under conditions of uncertainty, forestry decision analysis, forest sector modeling and simulation, forest policy. Description of work: Tommy Lundgren's research is mainly focused on applied policy analysis related to the environment. He has published in top tier journals within his field such as Energy Economics, Land Economics, Journal of Productivity Analysis, and Environmental and Resource Economics. Currently he is running a project assessing industrial energy demand and energy efficiency in Sweden. Camilla Widmark is mainly doing research and teaching as well as administrative issues at the Department of Forest Economics (vice head of department, and responsible for graduate education at the department). In research the focus is mainly on land use policy, land use conflicts, especially focusing on common pool resources, governance issues, ecosystem services and forest policy, especially evaluation of forest policy. At present the Future Forests program’s project on evaluation of the Swedish Forestry Model is in its final stages, while the FP 7 ERA-NET SUMFOREST financed project POLYFORES (Decision-making Support for Forest Ecosystem Services in Europe) is starting 2017, where Camilla is doing research as well as coordinating the project. 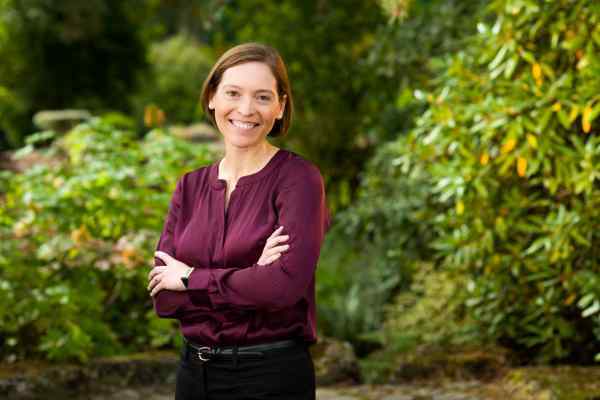 In teaching, Camilla is supervising graduate students and master students, and teaching at bachelor and master level in business administration as well as forest policy. Description of work: Is currently researching energy efficiency and demand flexibility on the power market. Description of work: individual decision making, behavioral and experimental economics and their relationship to energy economics. Description: I work on issues related to energy and climate policy instruments. Description of work: Joined CERE as a postdoctoral researcher in October 2010. My research interests are in the field of Environmental Policy Instruments and Agro-environmental Policies. My current research focuses on the functioning of the European Union’s Emissions Trading Scheme and this scheme’s impacts on firm economic and environmental performance. Arbetsbeskrivning: My main research interests are in energy and resource economics. Description of work: environmental altruism, voluntary contributions to public goods, forest policy, retention forestry and ecosystem services. Work with Economic modelling of climate change; Integrated Assessment Modelling and Computable General Equilibrium (CGE) models. Work with valuation of non-marketed environmental goods and services. Description: Alejandro mainly works with Energy Economics. Description of work: Her research interests include agri-environmental policy, integrated modeling, productivity analysis, and water resources. Description of work: Research in Energy and Environmental Economics.